When it comes to jazz, Eindhoven is not usually the first place you think of in the Netherlands. Yet, for the past 5 years the “So What’s Next?” festival has transformed the city into the Dutch jazz capital during the 1st weekend of November. This year was no exception and Eindhoven once again became the epicenterfor the hottest jazz acts: the 6th edition of the acclaimed music festival gave special attention to musicians coming from the London jazz scene. Back in 2016, when Gilles Peterson’s Brownswood Recordings released Yussef Kamaal’s debut album Black Focus, it was increasingly obvious that the global jazz capital had started moving away from its longtime home, New York, to a new, although perhaps temporary one, in London. However, after 2 years it looks like jazz has fallen in love with the British capital and is the musical culture. London’s music scene is diverse and can probably only be compared to New York. Although both cities share similarities (especially when it comes to music), there is one fundamental difference: American and Afro-American musical cultures are native in New York and not to London. In other words, the influences aren’t as dominant in London and the UK in general, as they are in the United States. Hence, certain musical elements associated with jazz tend to play lesser roles when performed by British and, more specifically, London-based jazz musicians. Perhaps the most obvious example is heard on drums and thesnare drum in particular. Since the early 1940s the role of percussions n jazz hasn’t really changed: various on and off beat accents overshadowed by the pulse-keeping cymbals. Yet, exposed to different genres of EDM, sound culture, or hip-hop, UK jazz drummers quickly reshaped the snare drum’s role, moving it from the background of the overall sonic picture up to the front. 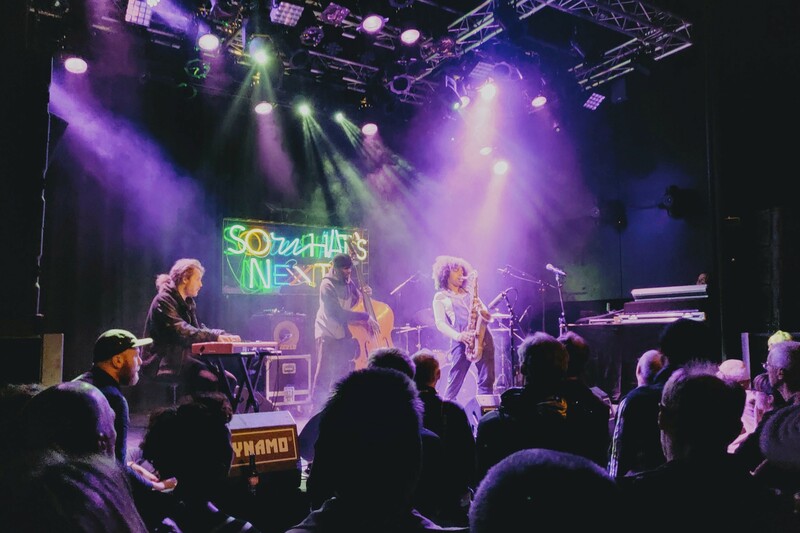 Together with other harmonic and melodic aspects formulated by the UK jazz artists, the new sounds of the London (and the UK) jazz scene has been exemplified by this year’s So What’s Next” festival more than anywhere else in the Netherlands. GoGo Penguin, Moses Boyd Exodus, Theon Cross, Dinosaur, Zara McFarlane, Poppy Ajudha, or Oscar Jerome are names gaining increasing attention within the global jazz scene. The festival also organized a panel discussion on the already much discussed London jazz scene. The highlight of the festival, however, was Nubya Garcia. Coming to the stage with drummer Sam Jones, bassist Daniel Casimir, and pianist Joe Armon-Jones (whose name is also on the list of today’s top young British jazz artist), the saxophonist’s presence was so compelling that throughout her performance the audience seeing the future of jazz. And what a sight it was, as everyone went mad during Garcia’s closing number “Lost Kingdoms”. The most beautiful thing, however, is that “So What’s Next?” is different from other jazz festivals, bringing together established jazz acts with even bigger musicians from the jazz tradition’s suburbs. The festival felt fresh and exciting, introducing the most cutting-edge jazz artists of today, keeping an alternative-underground vibes, while not diving too much into the avant-garde scene. My only hope is that it does exactly the same next year, reflecting the happenings in the jazz scene of the day, instead of relying on something from the past.